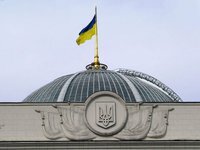 President of Ukraine Petro Poroshenko has submitted to the Verkhovna Rada a bill that extends the law on a special procedure for self-government in certain areas of Donetsk and Luhansk regions (ORDLO). Corresponding bill (No. 9153) on introducing amendments to Article 1 of the Law of Ukraine "On the Special Order of Local Self-Government in Certain Districts of Donetsk and Luhansk Regions" was submitted to the parliament on October 3. Poroshenko defined it as the urgent one. The text of the document is not available yet on the website of the Verkhovna Rada.